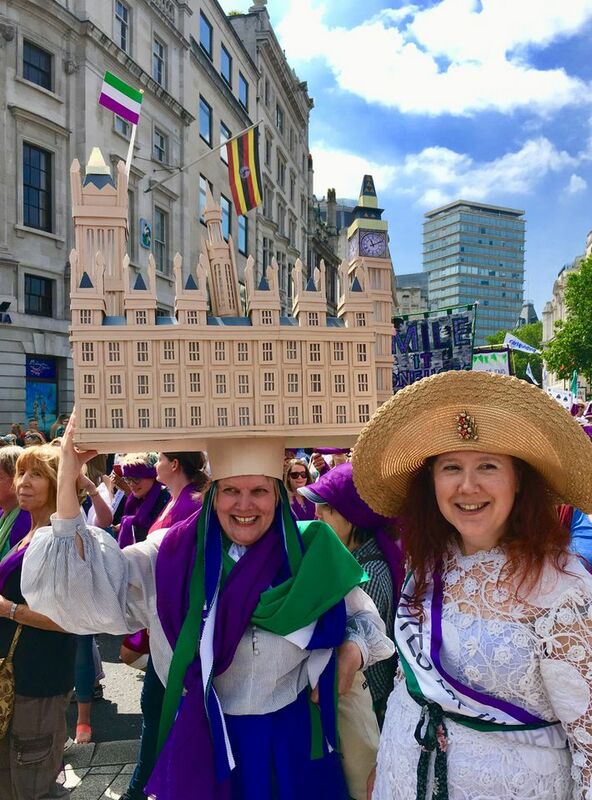 Many art-worlders were off to Art Basel on Sunday (10 June) but some of us remained back home to join the thousands of women—and some men—who marched through the streets of the UK’s capitals to mark a century since the first British women won the vote. 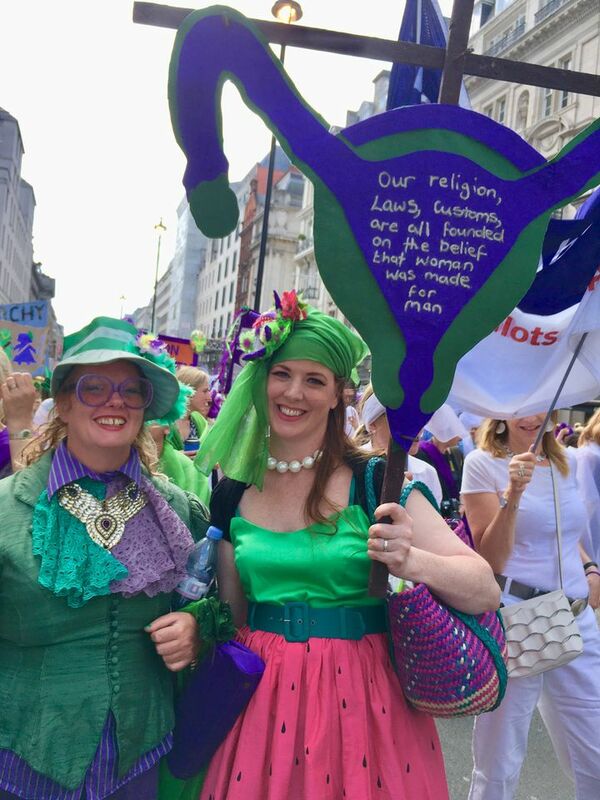 Mass processions in London, Edinburgh, Belfast and Cardiff formed a living, chanting, singing work of art made up of rivers of marchers dressed in green, white and violet, the three colours of the suffragette movement. The four-city event was co-ordinated by 14-18 NOW, the cultural programme commemorating the centenary of the First World War, and Artichoke, a charity which creates public art in the UK. More than 100 female artists worked with local communities around the country to create banners for the marches. These were joined by thousands of often equally spectacular costumes and banners made and paraded independently by the multicultural, multigenerational throng. 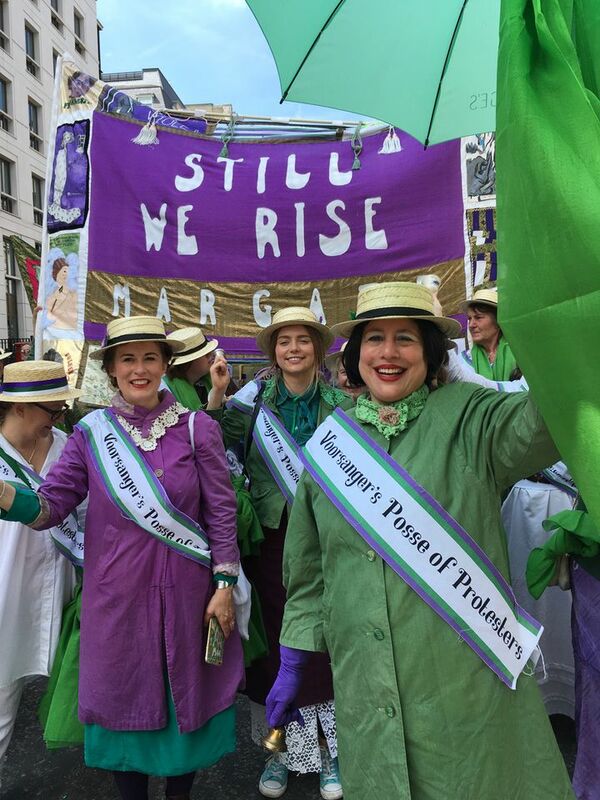 Among the throng was the artist Jessica Voorsanger, resplendent in period suffragette gear, leading her similarly-clad “Posse of Protest” from Margate, while Kirsten Dunne, a senior cultural strategy officer for the mayor of London, held a banner emblazoned with myriad interpretations of the term “gender equality”. 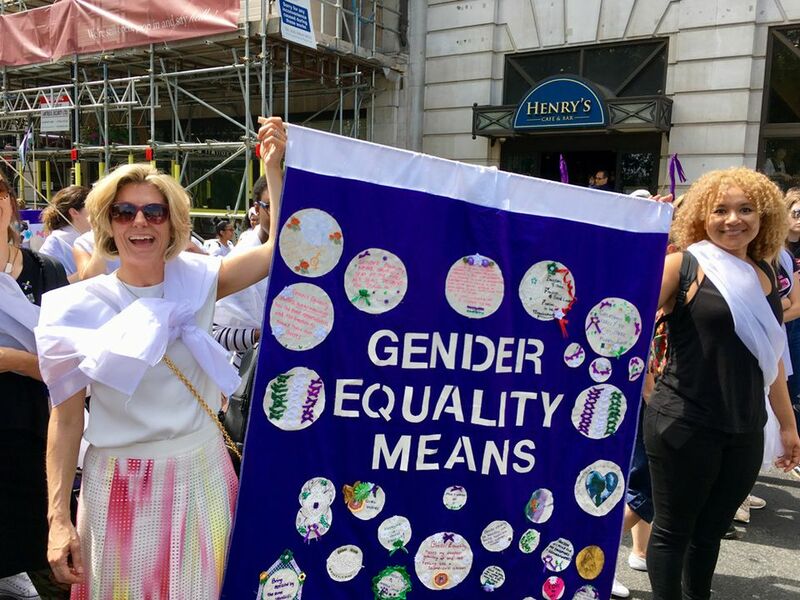 Her boss, the deputy mayor for culture, Justine Simons—with her mother in tow—brandished a banner whose message, “Courage Calls to Courage everywhere”, echoed that held by Gillian Wearing’s statue of the suffragist leader Millicent Fawcett in Parliament Square, which the mayor’s office was instrumental in erecting earlier this year. Your correspondent was especially happy to locate both “Camberwell” and “Lambeth” banners devoted to her current south London abode and an especially fine piece of appliqué paying tribute to her much-maligned home county. This offered a spirited riposte to the multitude of misogynist jokes it generates, declaring “Women of Essex, Neither Freaks nor Frumps”.